If you love the history and rustic charm of vintage trains, there's a custom caboose tiny house up for sale that's made for you. Tiny homes can be made from almost anything. People have constructed them from reclaimed materials, new materials and even shipping containers. But this tiny home built from a caboose is something truly special. It's on the market for just $51,500, which is a major bargain. The Audibert family were ahead of the curve, purchasing this train car in 1974 and outfitting it as a cozy vacation home. Cabooses make perfect tiny homes because they're mostly already meant for living, and many even contained kitchens. 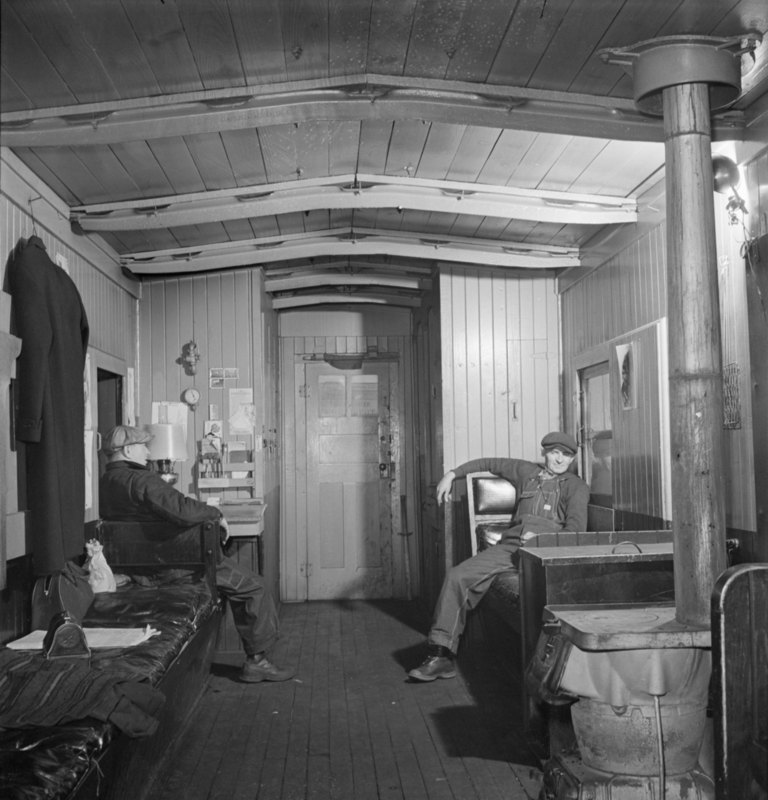 The car is a 1910 Central Vermont Railway Caboose that ran for 60 years before being retired and sold to the Audiberts. The tiny home caboose is affectionately named "Side Track." It was later sold to railroadman Phil Kelley, and it sits amidst verdant pine trees just outside Conway, N.H. Some of the original seating is even still intact. Just imagine the history in this train car! With 228 square feet, the caboose tiny home is surprisingly roomy. There's a sitting room with a television and spots for five people to sleep. There's also a kitchen has a stove, sink and mini-refrigerator. The bathroom is a "3/4" bath, meaning it has a sink, toilet and shower. Historically, cabooses were meant to house workers on a freight train. The upper part of the car that juts out above the roof was used by railroadmen to monitor the train as it went along its journey, to ensure the load hadn't shifted and nothing was amiss. They generally had sleeping quarters and sometimes even a kitchen. You can see more pictures of Side Track at Realtor.com.